Domino's Pizza, Inc. (NYSE: DPZ) shares gained 8.16 percent to reach a new 52-week high of $127.23 after the company reported upbeat Q4 results. PowerSecure International, Inc. (NYSE: POWR) shares touched a new 52-week high of $18.48 after the company agreed to be acquired by Southern Co (NYSE: SO) for $18.75 per share in cash. Sturm, Ruger & Company (NYSE: RGR) shares touched a new 52-week high of $67.51 on better-than-expected quarterly results. MediciNova, Inc. (NASDAQ: MNOV) shares rose 9.14 percent to reach a new 52-week high of $6.33. MediciNova shares have surged 61.11 percent over the past 52 weeks, while the S&P 500 index has dropped 8.57 percent in the same period. 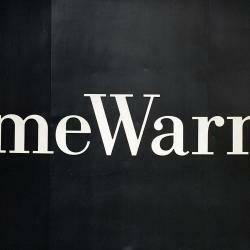 Is Charter A Better Buy Than Time Warner Cable In Final Months Before Merger?